Coming into the program I wasn’t convinced this program was for me. It sure is though and soon enough will be able to say I graduated! Yipee. I enrolled into this program about a year ago and it was one of the best decisions I ever made. They make me feel comfortable on every call and they really do want to help resolve the debt problems. Only complaint I have is they couldn’t help with the student loans we have but once we’re done with the program the payments will be so affordable. I joined the program in July 2014. Best decision I ever made. Mr Padilla has work dilligently work with me to get my financial life in order.I would recommend this program to everyone. The entire workforce at this company and especially Ray deserve a 110 out of a 100 and 5 gold stars. David has been extremely helpful. Julius was an expert in guiding us through uncharted territory, managing negotiations and establishing a method for us of putting aside funds through regular savings in anticipation of a successful settlement offer. The method of saving and keeping the savings under the control of the client was an empowering experience, which led to successful management of obligations and a conclusion of the program, which will leave us without debt. Undertaking this required trust, patience and a cool head. Julius was able to create the bond that made this possible. I was happy with every aspect of the work you did for me. I feel so much better now. Many, many thanks. I would definitely recommend you. Her name is Shonna Gillis, and I could not have asked for anyone better. Thank you Shonna. I only have positives things to say about the operation. They will walk you through the consolidation offer and educate you on what it will take to get rid of your debt problems with them. I really enjoyed working with Chris and hope they can finish off the rest of my accounts for me. So far I am happy with the plan. I only signed on 2 days ago so it is a little early to comment. I know Pacific has a good rating which is the reason I went to them. Otherwise, I will have to wait and see as it progresses. We were first enrolled in a local consumer credit counseling company but couldn’t afford the high payments anymore. 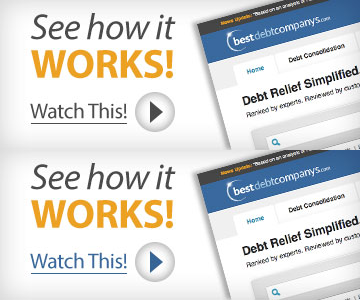 The company referred us to Pacific Debt as they were one of just a few licensed companies in CO. This is maybe one of the best things that happened to us. Nothing but great things to say about this company. The enrollment process was very detailed and easy to understand. I’m happy with the company thus far but it’s only been 4 months. Will post another review down the road. I was very pleased with the customer service I received while going through the process with Pacific Debt. I would just say a couple of things I wish were a little different. I was switched to different sales rep’s three times while in the program. It wasn’t a problem to switch, I just wasn’t notified once that occurred so I had to search around and find out who I was supposed to be talking to. The other thing is being able to see my account details. I had access to the online info but it wasn’t explained very well on what the information was or how to read it. Overall, my experience was fantastic and I couldn’t be happier now that all my debt has been washed away. Thank you!! I contacted Pacific Debt one year ago. Spoke with Rian and after hearing everything was EXTREMELY septical. I enrolled anyway as it was my last resort before bankruptcy. I must say every assurance and promise made at the initial enrollment has been kept. My account was placed with Kristin and although I endured months of debt collector phone calls everything fell into place. Phone calls ended and settlement offers started coming through. 90% of my accounts (~$20,000) have settlements in place for 50% of total with the exception of 2 very small credit cards that I am confident will be included now. I can’t begin to convey how relieved and happy I am the debt treadmill is coming to an end. One word of advice, if you cannot complete monthly payments do not enroll. This is not a reflection on Pacific Debt but on you. This is an opportunity to be debt free in a relatively short time don’t waste it on a half-hearted effort on your part. Do whatever you need to do to stay on track and if you fulfill your end then Pacific Debt will come through for you! Lisa is and was great. Felt comfortable throughout the process. Thanks Lisa. My experience with PacDebt has been amazing! I was so discouraged by my extremely high credit card debt & the ‘criminal’ interest rate charged by the card company. It took only a few months (5-6); After enduring the endless multiple daily calls from the card company – which I didn’t answer! the calls stopped immediately upon PacDebt performed their outstanding feat that will enable me to get totally out of debt. It will take a few years, but at the low interest rate PacDebt succeeded in obtaining for me, I can now get on with my life. I am so relieved! Many thanks, PacDebt! Yippee Pacific debt just settled my first account. Thank you Kimberly Becker. Great job. Keep it up. 1 down 6 to go. Chris was very helpful and answered all of my questions. Such a helpful company. Kudos to the entire team.